Please click to keep in touch! Following the success & fun we had with our first two 'Dress-a-Girl' days we will again be offering up the use of our sewing machines for this great cause, this time to mark the occasion of our second birthday. The idea is simple - to make a pretty dress out of a pillowcase! Every little girl, wherever she is in the world, deserves the chance to wear a pretty dress and for many of the girls the appearance of being well dressed & cared for can make a big difference to the way they are treated. This fits perfectly with what we do at Cordial & Grace and our commitment to give something back to the local & wider community. Our customers are getting involved too by taking the dresses on their travels - so far we have distributed dresses to Cameroon, Kenya & South Africa thanks to their kind help. These can be delivered to Cordial & Grace during opening hours Tuesdays to Sundays. Or you could make a pillowcase dress at home and drop it in to us. Here's a link to some simple & clear instructions on how to make a pillowcase dress. LET'S GET TOGETHER & SEW PILLOWCASE DRESSES! 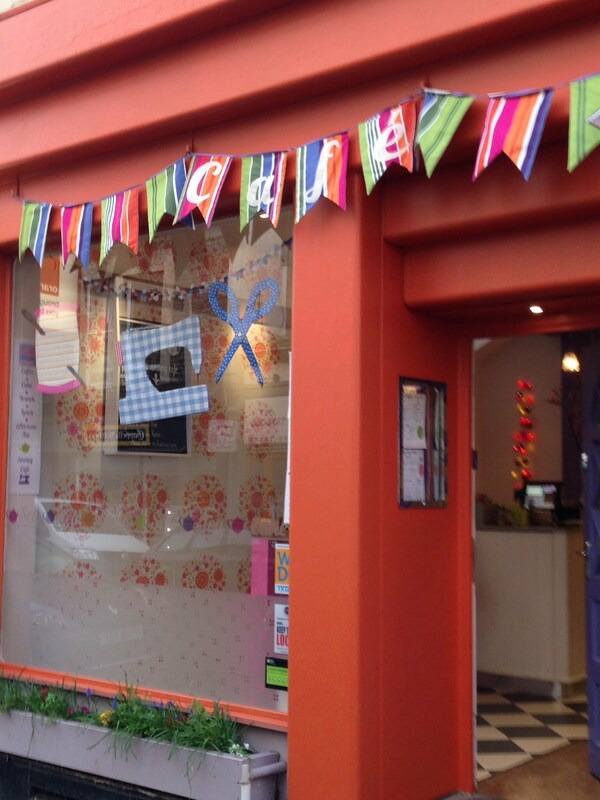 FREE tutored sewing machine bookings will be available from 10:00am to 7:00pm. These need to be reserved in advance, please give us a call to book your slot. There will also be additional space for anyone who would like to get involved by hand sewing trimmings & motifs on to the dresses to make them extra pretty! This charity is admirably coordinated for the UK by one lovely (local to Bristol) lady - Louise of Sew Scrumptious. Louise is always on the look out for more people to help deliver the dresses to little girls around the world - so if you have links to any charities or travel yourself to any developing countries and think you might have space to pack a few dresses, please let us know. PLEASE WATCH THIS PAGE FOR MORE DETAILS and in the meantime, please click on the various links above to find out more. Gorgeous girls in Cameroon wearing dresses made at last November's event! Maria (C&G) & Louise (Sew Scrumptious) with the fruits of everyone's labour! Dress making in action in the Sewing Parlour at C&G. A few of the finished dresses on display in the tea rooms before being distributed to Cameroon, Kenya & South Africa.